As the campaign for the presidential and National Assembly election kicks off, the Independent National Electoral Commission (INEC) has warned against any contravention of the Electoral Act and its election regulations, vowing to strictly monitor campaigns by political parties. 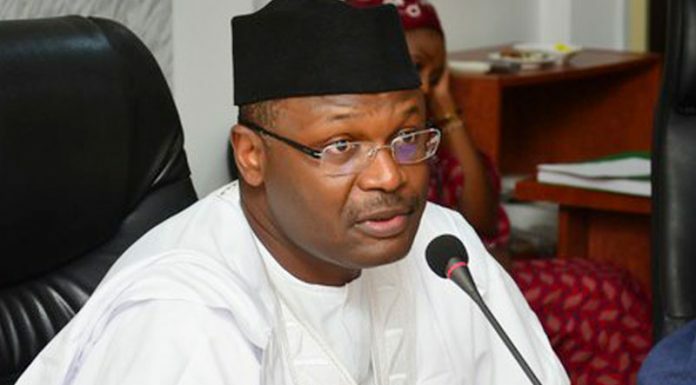 The Chairman of INEC, Prof. Mahmood Yakubu, disclosed this Wednesday during a meeting with Resident Electoral Commissioners (RECs) at the commissionâ€™s headquarters in Abuja. He told them that the campaign for the 2019 presidential election officially commenced on Sunday, November 18, 2018 as provided for by the Electoral Act, in line with the commissionâ€™s timetable and schedules of activities, urging them to ensure strict compliance with the extant rules guiding the election. â€œThe commission is committed to closely monitor the campaigns pursuant to our statutory mandate and to ensure compliance with the extant laws and regulations,â€ he said. Multiple sections of the electoral law regulate the conduct of campaign by political parties and politicians, who are enjoined to keep the polity safe from injurious statements. The law also prohibits the abuse of culture for political purposes. On the consequences of the breach of the Act, Subsection 7 stipulates penalties for infringement as N1million or 12 months imprisonment for individuals and N2million in the first instance and N1million for subsequent offence for a political party; while subsection (8) says aiding and abetting of contravention of subsection (5) by any person shall warrant N500,000 fine or three years imprisonment or both. At the meeting with the top INEC officials wednesday, Professor Yakubu stressed that the last meeting held with the RECs, two months ago focused on the preparations for the 2019 general elections, especially on the conclusion of the Continuous Voter Registration (CVR) exercise. He noted that the commission had been working on the clean-up of the votersâ€™ register, describing it as the foundation for the conduct of credible elections. He explained that the recently displayed votersâ€™ register in all polling units nationwide was for claims and objections, and ensuring that citizens help the commission to identify any ineligible registrants, such as persons below statutory age of 18 years and non-Nigerians, who may have registered as well as deceased persons and multiple registrants. The chairman said the meeting would dwell on the progress made on the collection of outstanding Permanent Voters Cards (PVCs) by citizens as well as new modalities for a more efficient administration of the collection process. He added that the meeting would consider the recruitment and training of election duty staff, discuss the ongoing review of the framework for voting by Internally Displaced (IDPs), explore additional administrative measures in support of Persons with Disabilities (PWDs) in the electoral process. â€œWe will also examine additional ways to safeguard the sanctity of the ballot against the menace of vote-buying at polling units, appraise issues relating to electoral logistics and generally and generally access facilities and preparations for the general elections,â€ the chairman added. The chairman, however, regretted the loss of four of the commissionâ€™s staff members in Kogi State and one in Edo State, adding that it would work with security agencies to ensure the arrest and the prosecution of those involved in the attack and vandalisation of electoral materials at a polling unit in Kwara State.